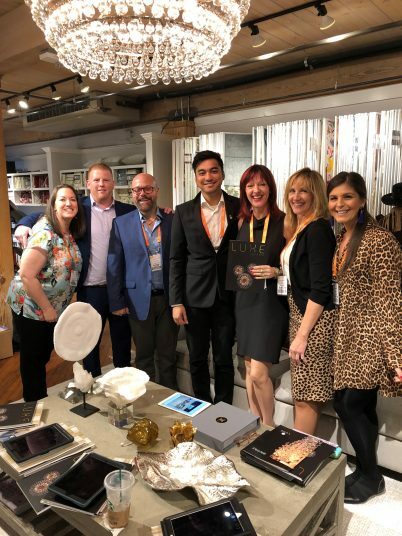 High Point Fall Market 2018 Highlights | Kravet Inc.
For the record, this was my first time experiencing High Point Market, and for those of you that haven’t had the pleasure, all I can say is: you must go at least once. High Point Market is a village on its own; it offers home furnishings as far as the eye can see and the shuttle can take you! No, really, there is so much to see that you have to take a bus to get around if you want to see it all (High Point Market offers free shuttle options)! 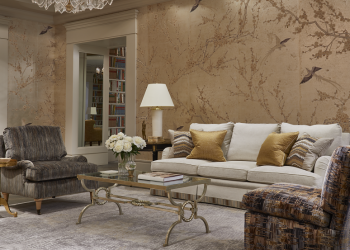 I spent the majority of my time in the Kravet showroom (Suite #217!) and I was lucky to learn something new about our incredible furniture offerings each day. 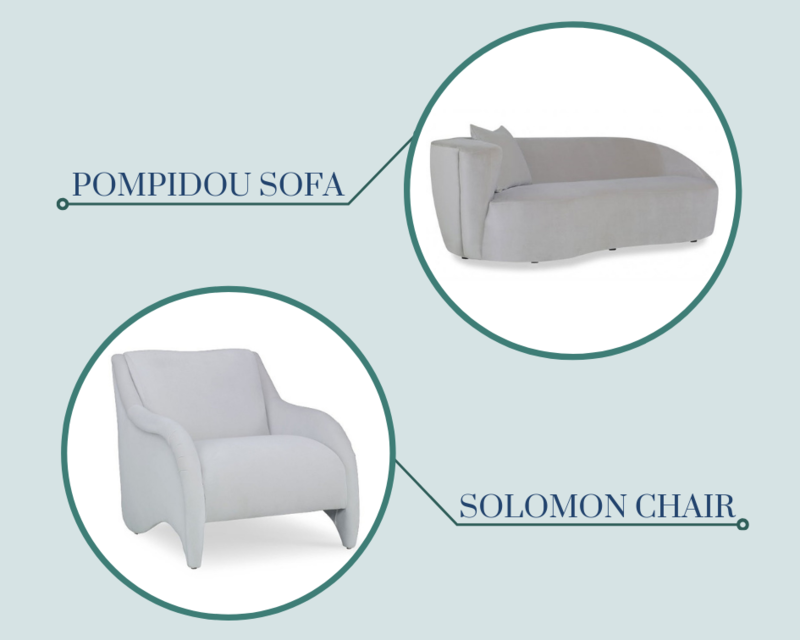 This market we introduced a sleek, curvaceous selection of Bauhaus inspired furniture. Pieces like our Solomon Chair and Pompidou Sofa set the inviting tone for visitors to take a seat and lounge in luxury. 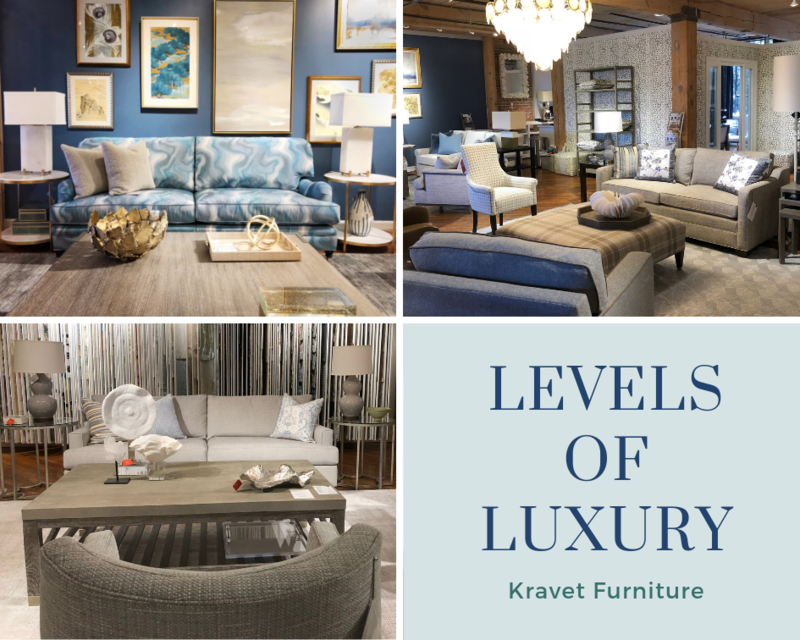 Speaking of luxury, we launched our brand new LEVELS OF LUXURY from Kravet Furniture, which introduced a brand new furniture category: Kravet EDGE. 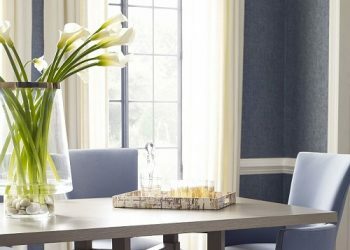 This new tiered program offers Kravet quality furniture at different price points, providing you a selection of options for any project. 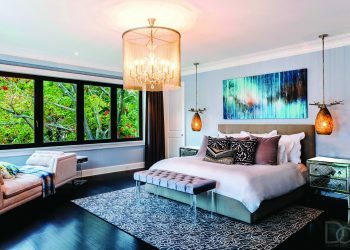 Learn more about EDGE and our levels of luxury in our product spotlight blog post here. While at Market, I wanted to hear straight from our sellers what some of their favorite pieces were. I started a new series, which you can watch on our High Point Market Highlight on Instagram Stories. Some favorites from the floor were the Alexandra Cocktail Table, Kumu Sectional, and Tate Sofa. Each person has their own objective when traveling to Market, but there are a select few who are chosen by High Point Market Authority to identify the hottest items each season. 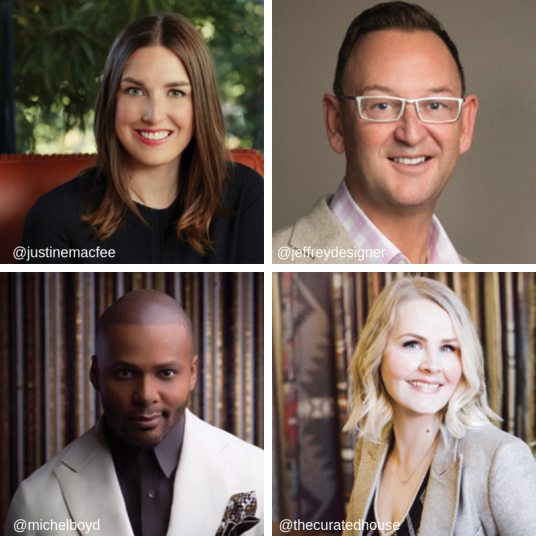 This fall we were lucky enough to have four pieces on the floor selected by this season’s High Point Market Style Spotters. 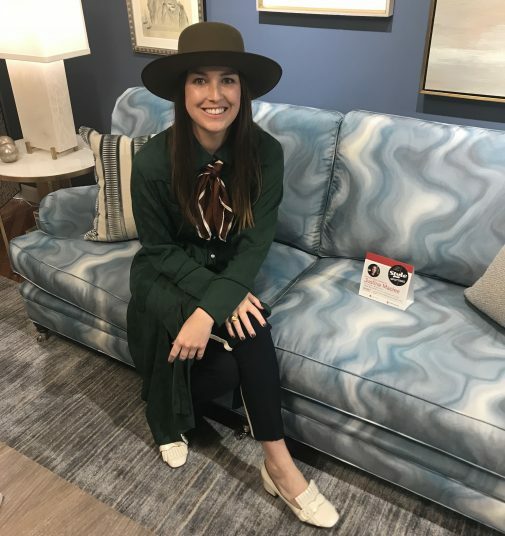 Justine Macfee spotted our Allegro Sofa, one of our favorites, which she loved upholstered in Azzuro from the upcoming Kravet Couture Terrae collection. 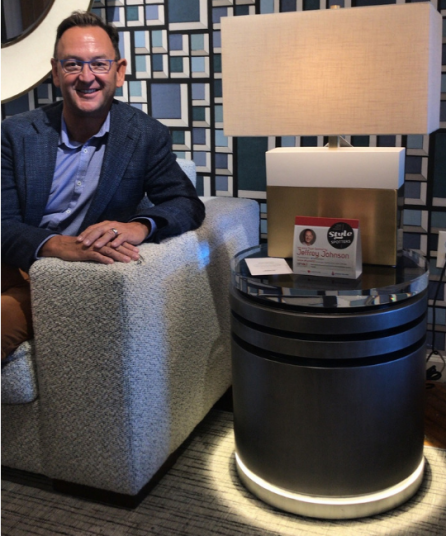 Jeffrey Johnson loved our Bailey Side Table, available from CuratedKravet.com. He even said he thought it was one of the hottest things he saw this market season! 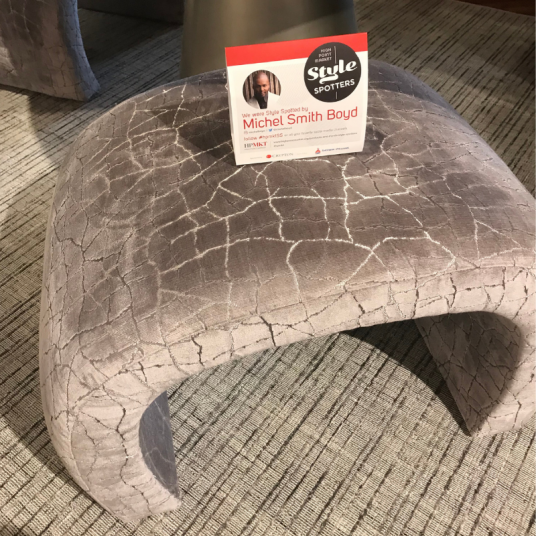 Michael Smith Boyd was smitten by our Sutherland Bench upholstered in Formation from the Kravet Couture Artisan Velvets collection. 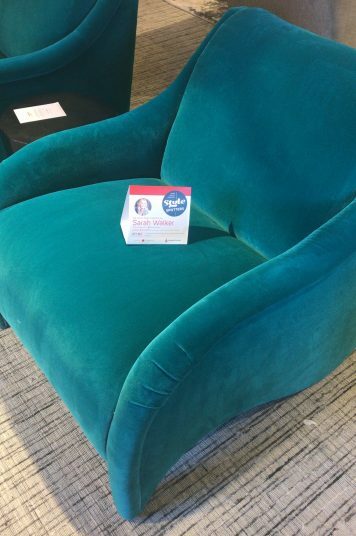 Sarah Walker couldn’t deny the curves of our Solomon Chair which was also the favorite of our showroom Sales Representative Carlisle from Atlanta! The VIP appearances didn’t stop there! 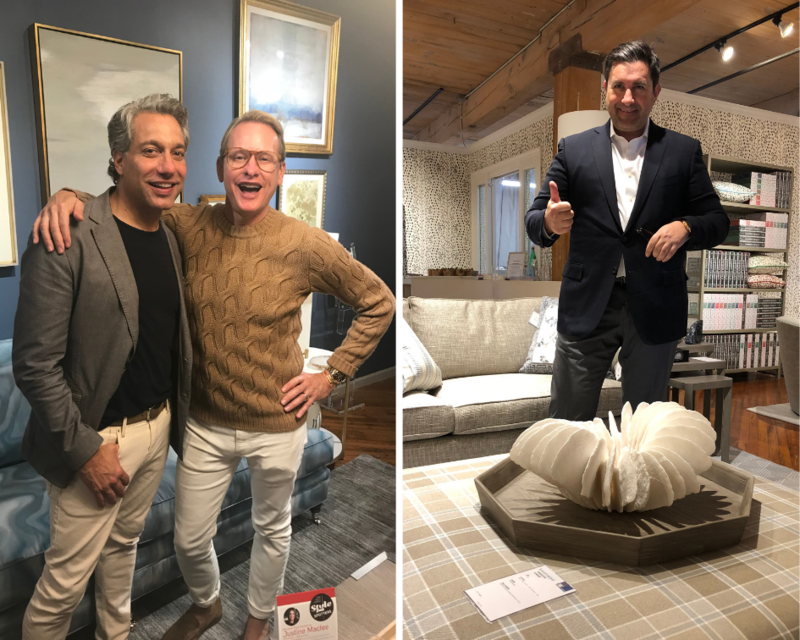 On Sunday we celebrated our 100th anniversary in style with friends like Jeffrey Alan Marks, Thom Filicia, Carson Kressley, and David Phoenix, just to name a few! High Point Market is a must-see for interior designers and enthusiasts alike. It’s a wonderful whirlwind of beauty, fun and excitement that shouldn’t be missed! To those we saw this market, thank you for visiting, and to those we did not, we can’t wait to see you next market! 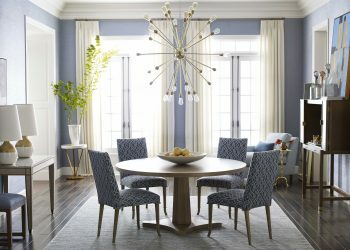 Explore all of Kravet Furniture’s offerings at Kravet.com!